As you can probably expect, there are not many lawyers in North Dakota, with only 2,300 members in the official statewide organizations of lawyers in North Dakota law firms. Still, this does not mean that the quality of legal representation in North Dakota is lacking or that those that have legal issues in the state will have to look to national law firms for help with their issues. Make do with the resources available to North Dakota residents and follow a few simple procedures when evaluating your North Dakota law firm. Doing so helps to give you ease of mind when working with these law firms. Many laws vary from state to state and laws may even limit litigation and other legal matters in North Dakota. The North Dakota law firm will be up to date on developments in the practice of the law in that state and will able to inform you on how this affects your legal matters. Almost all North Dakota law firms will have some offer of a 30 minute consultation to discuss the legal issue, payment plans and any questions the prospective client might have. There are a few things a client should do during this consultation to ensure they are making the right decision. Firstly, the client must know how they will communicate with the lawyer if they retain the services of the North Dakota law firms. The ability to speak with your legal representative ensures that your desires are made known and you achieve the result that is in your best interests. Ensure the that the North Dakota law firm is listening to you when you describe your situation and ask about what fees you will be paying for communicating directly or indirectly with the North Dakota law firm. It makes little sense to avoid communicating with your legal representatives to avoid exorbitant fees. Even with limited option, you do not have to settle for North Dakota law firms that are uncommunicative or uninterested in what you need from them. Professionalism is also important as this will be directly related to your success in court, at settlement, or even when seeking basic legal services. Professionalism is comprised of a number of factors, including attention to details, organization, objectivity and demeanor. Any North Dakota law firm that lacks any of these components has the potential to unintentionally sabotage your legal matter. There are a number of ways an unprofessional lawyer may conduct legal malpractice or complicate matters when working with other parties. You will want a professional that is able to deal with situations that arise and give your legal matter the appropriate respect it deserves. How can the State Bar Association of North Dakota help direct me to North Dakota law firms? Membership in the SBAND is mandatory, all lawyers in North Dakota law firms must be admitted to the bar through passing the appropriate examinations, and standards set by the state bar. The SBAND is over 100 years old and boasts the membership of all 2,300 lawyers in the state. The primary goal of SBAND is to provide for the quality of legal services in the state through keeping certified lawyers informed of developments, enforcing codes of professionalism and ethics and providing assistance for lawyers dealing with professional issues such as stress. Substance abuse and other issues that may affect the performance of lawyers, at the detriment of the clients will be dealt with by the SBAND. Aside from searching advertisements and word of mouth, getting a referral is the fastest and easiest way to find a North Dakota law firm near you that will handle your legal matter. The SBAND runs lawyer referral service that can be accessed from their website. There is also a comprehensive online directory of all lawyers in the state, which can be shorted by cities in North Dakota. You may also use the tool to verify if your lawyer is certified and in good standing to practice law in the state. While public lawyer referral services tend to be best, private referral services are a viable option to seek referrals. Be aware of the standards used to vet participating lawyers and know the fees and obligations involved with using this service. If you have dispute with a North Dakota law firm not related to non-fraudulent billing, you may file a complaint with the Disciplinary Board of the Supreme Court of North Dakota. This entity will verify written complaints and investigate the rules of professional conduct for unethical behaviors. Contact the Board for more information on the necessary procedure and grounds to file a complaint about a North Dakota law firm. Get your fee arrangement in writing to ensure that you are not mistakenly overbilled or will have a fee dispute with your North Dakota law firm. The fee arrangement will list all applicable fees that you might incur court costs that you will have to pay and the terms of any retainer accounts, that are part of the legal relationship. 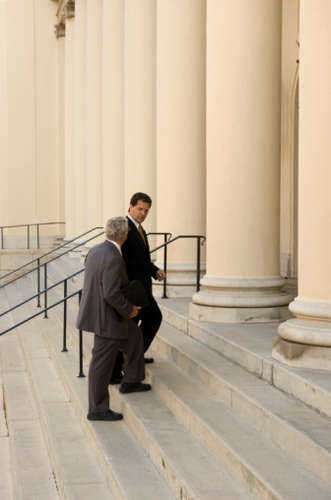 Fees are not much of a concern in litigation and worker’s compensation cases as these are typically “no-win, no fee,” cases. This is also known as a contingency arrangement, which entitles the North Dakota law firms to collect a percentage fee from the jury award or settlement earned on behalf of the client. This will ensure that the North Dakota law firm is adequately compensated for any services rendered during that time. The client may have to pay court fees and this will be determined in the fee agreement. The percentage collected may be subject to statutory caps or review by the court for fairness to the client. 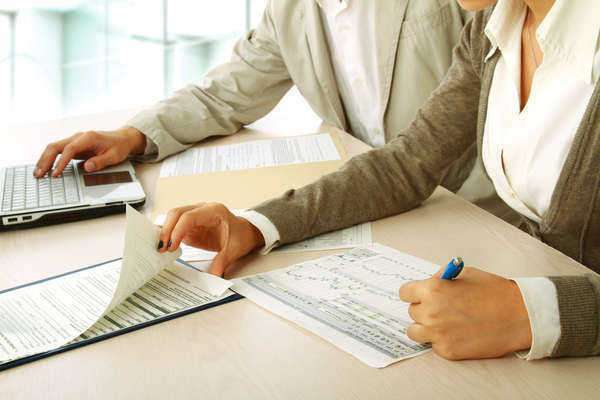 Retainer accounts are the billing option for long term legal matters. Hourly and flat fees are charged here as they accumulate and the trust account is refilled by the client depending on the prior fee arrangement.